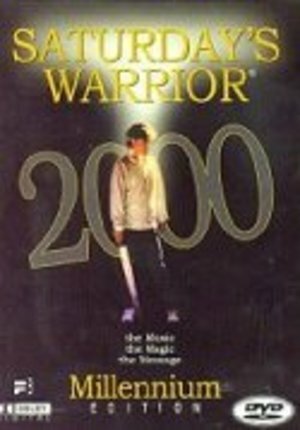 Saturday's Warrior 2000 — The classical musical now has digitally enhanced picture quality, improved sound, "The making of" documentary, bloopers and out-takes. The minute "making of the video" is an inspirational look at the cast and crew 10 years after the Saturday's Warrior video was made and how that experience together has touched their lives over the years. It is funny and fun at times and very tender and spiritual at other times. The bloopers and out-takes are just plain fun. Doug Stewart is a playwright and lyricist best known for his work with Lex de Azevedo on Saturday’s Warrior. He also wrote the musicals Threads of Glory, A Day, a Night and a Day, Star Child, The White Star, and Latter-day Ruth. Stewart is a member of The Church of Jesus Christ of Latter-day Saints and wrote the Church-produced film The Lost Manuscript. He also wrote the screenplay for feature films Where the Red Fern Grows, Seven Alone, and Against a Crooked Sky. Stewart and his wife, Mary, live in St. George, Utah, and are the parents of eight children. Stewart dreamed of a amphitheater in St. George, found the site, raised the money, built the theater, gave it the name Tuacahn, and wrote Utah!, the first musical to be produced at the amphitheater. Two years later, he was no longer involved with Tuacahn, but is proud of the quality of the Broadway-style productions. Stewart holds a master’s degree from Brigham Young University. 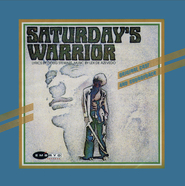 I have always just loved Saturday's Warrior. Some have complained that it is a grandiose idea out of the gate ("These are the few, the warriors...these are THEY!"). I think it is a matter of viewpoint: If you are somehow aware enough about how important life is and at the same time how hazardous also, it is not self-congratulatory to see our mortal sojourn at as a battle, with the Enemy playing for keeps. In fact, that is doctrinal fact, not grandiosity. My only misgiving about this DVD is seeing the father--played otherwise beautifully by Marvin Payne--backhand his son in a scene. I think it just isn't needful to spice a poignant scene using family violence of any kind. Otherwise, a million thanks to all the marvelous folks who made this video, making it possible for this gem of a play to become a legacy. Who doesn't love Saturday's Warrior. After watching it, my husband and I decided to have another child. I wanted to be done, but the movie touched my heart. We have now since had this child, and I can't imagine life with out her. If you are LDS, you have to see this movie at least once! Seeing it again the other day brought back tons of nostalgia from my youth-to this day I still enjoy it. I am 14, and the first time I saw this movie was about a year ago. I think that it still applies, still has a great message, and this is definitely an awesome movie to see. This was one of my favorites and I have learned to love it more and more. When I start to get angry at someone, I think about how we might have been up there in the beginning talking about how we will put together and make it thought! I love this movie! Its a favorite through the ages.. the Flinder's family never gets old.. This movie brings back memories of the first time I saw it. It was back in the 80's when everything seemed more in time! But, the story is still good and it was fun to be able to own the movie and place into perspective all that matters. Such a fun movie for anyone who likes musicals- even though some of the gospel principles are a little off! I love this movie! I grew up with this movie. Me and my sisters would play the movie and always fought who got to be who. It is a great movie! I strongly recommend it. Its filmed in the eighties and you can tell, but who doesn't love the eighties? Be careful of doctrinal inaccuracies! I was a big fan of the movie as a child and I still think that it is cheesy and fun to watch, but I would never just let my children watch it without talking to them about it. I fear that far too many people believe that there is only 1 person in the world for you to marry. That just isn't the case and as much has been said by the leaders of the church. , So watch the movie and have fun with it, but remember that it is FICTION and only ELEMENTS of it are doctrinally correct and be sure to help your children understand what is and isn't true. This movie has helped me many times. When I get depressed I can start the movie and lay on my couch and fully relax. The music makes my heart sing. I showed this to an investigator of LDS church and she cried from such a strong feeling of the spirit. I will continue forever to watch it. I love this movie so much. I must have watched it hundreds of times by now, and I'm only 18. It is very inspirational and heart warming. The music is wonderful and the message is very powerful. Watching this movie has made me a better person, and I couldn't imagine my life without it. It was so long and drawn out and boring that I couldn't stand to watch the whole thing. Liked the music.